Super excited to link up to Doodle Bugs Teaching for Five for Friday. You might notice my blog looks a little different? 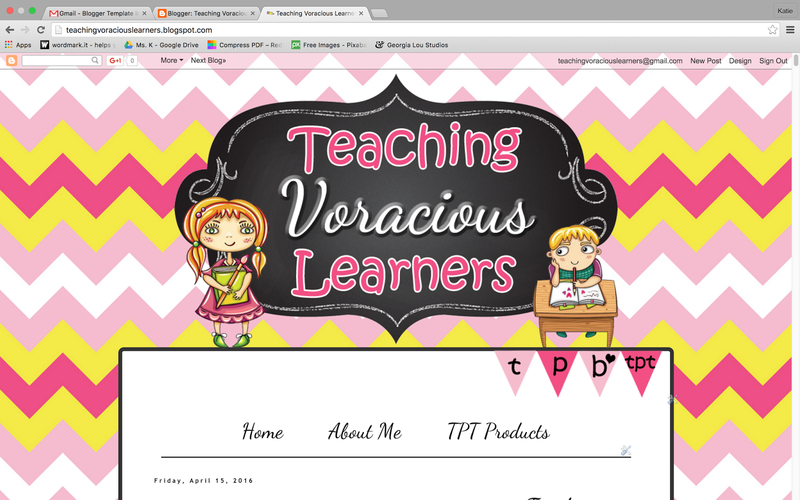 Well I took the dive and had it redesigned! I polled people on Facebook and the winner was Georgia Lou Studios. I was seriously having a mini nervous breakdown the night before it was scheduled to change. I even took this sentimental screenshot. It's definitely not as "cute" as my old design (which I loved and was a huge improvement on my own attempts), but I wanted something more timeless, streamlined, and fresher. The blog design itself was only $12, then I splurged for an extra $35 for them to install it. I would HIGHLY recommend Georgia Lou for their customer service, great designs, and quick production time. I ordered it Saturday and it was mostly done by Monday night. I told you last week how I made a list of everything I wanted to get done. It was a CRAZY list. I was highly doubting I would get it all done. Then last Friday at about 7 I thought hmm I kinda want to play around with fixing some product covers. 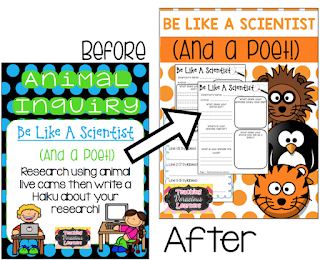 Well 5 hours later: I had revised my Animal Poems product (adding lessons and redesigning it) and uploaded it to TPT. Then I began to revise a second product. What! Yes it was crazy. And yes, I went to bed at midnight! So I was completely expecting to wake up around 9. Nope. I woke up at 6 and COULD. NOT. SLEEP. So I decided to get my grocery shopping done since I hadn't been grocery shopping for about 10 days. Then I came home and DID MORE WORK. Legit until 11:30. 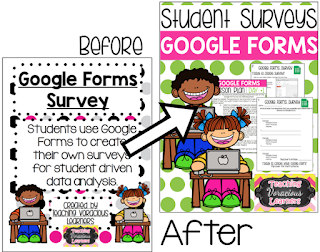 I ended up revising my Student Surveys using Google Forms product adding detailed lessons and reformatting most of it. I only stopped because I was hungry. Then that night I did MORE WORK. Honestly by Saturday night, about 30% of my to do list was DONE. And that was ONE day into my vacation. So then I crashed. Boom. I tend to have waves of super production and then a couple days where I'm surprised I ever get anything done because I'm so lazy. That happened this week. And when I wasn't in production mode, I would be stressing about EVERYTHING on my list. So the list definitely helped me get stuff done, but I also forgot to add some very important things to it: goof off, chill out in the backyard, garden, open the pool, have an adventure at CVS, go the new Starbucks. I forgot to schedule mental downtime. I went for my first run since my marathon this week and ended up doing some stretches in a cemetery. Totally normal, right? 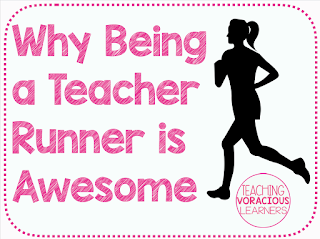 I also blogged this week about why being a teacher runner is awesome! Read the post here. 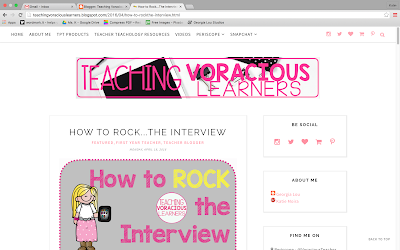 You know that post you have lying around...from TWO years ago...that you ALWAYS meant to publish but never did? But in a bout of insomnia one night, I finished it! 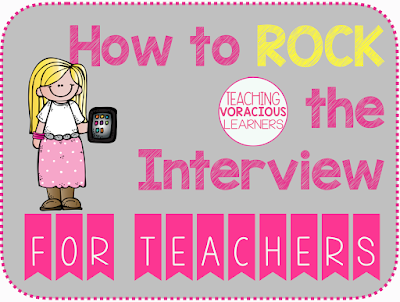 I wrote about Tips to Rock the Interview and would love it if you added your own thoughts at the end! My goal from now to the end of the school year is to eat healthier. After the marathon, I had an attitude of "I can eat whatever I want". Compound that with vacation and less structured meal times and I was a mess! Jen Jones from Hello Literacy actually inspired me because she kept snapping about all these healthy meals she was making. She has an amazing tip for cutting avocados so definitely go follow her on Snapchat for that tip alone (She's also hilarious! ).